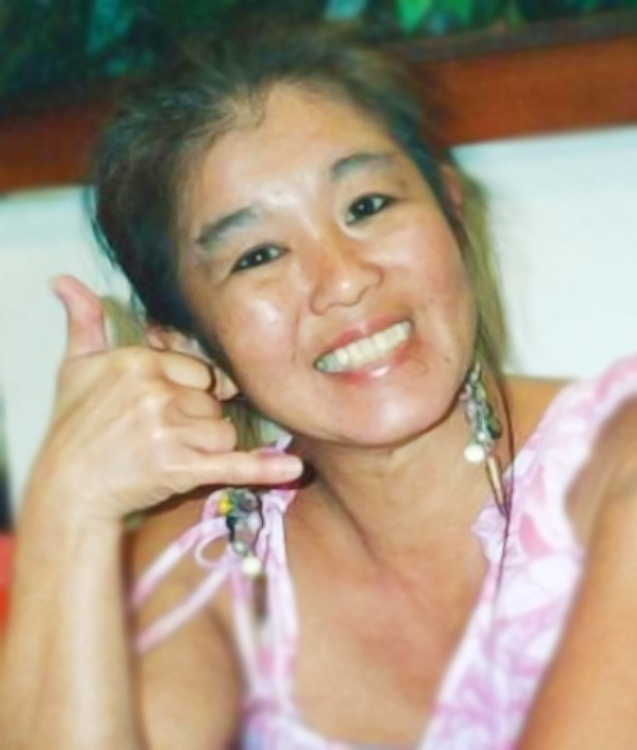 54, of Honolulu, Hawaii, passed away on Thursday November 2 2017. Born and raised on Oahu, Hawaii. Graduated from McKinley High School. Survived by her husband Todd Jones, daughters Ashley (husband Dave Guerrero) and Kascha. Mother Ethel Takata, sisters Faye, Gail, Wendy. Visitation 10am, service 11:00am on Sunday November 26th @ Diamond Head Mortuary. Aloha Attire.